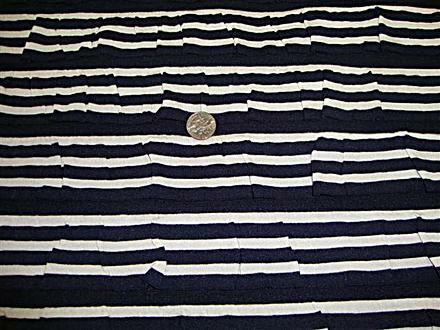 50″ wide 90% Polyester 10% Lycra -Dark Navy Ruffled Stripe- a fun ruffle yardage, that would make a awesome skirt, dress, top so many options and easy to make. No hemming! !